If you’re in your senior year, you might have stayed up until midnight on New Year’s Eve, but not to watch the ball drop in New York City. At 12:01 a.m. on January 1, you were able to submit a FAFSA, the Free Application for Federal Student Aid. With more than $238 billion on the table to get divvied up for student-athletes and their peers, we can’t really blame them. What is the FAFSA, anyway? The FAFSA is a way for the government to calculate how much your family is expected to be able to contribute to your college fees every year (strangely enough, this is called your EFC — Expected Family Contribution). And it’s all based on your financial need — so there are no transcripts, letters of recommendation or personal essays you need to write. We’ll give you a minute to celebrate. But completing your FAFSA does take a bit of time, and will require some paperwork from your parents or guardians. There’s a helpful list on the official FAFSA website, but this short video will also help you understand what you need to successfully complete the FAFSA. Don’t think you can skip filling out the FAFSA this year. 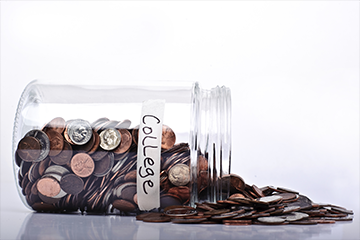 You might have an older sibling in college, and your family has filled out a FAFSA last year. But you still need to fill one out for this year. After all, having two children in one family at two colleges is a significantly different financial prospect than just one. Don’t procrastinate about filling out the FAFSA. Much like we’ve talked before about how important it is to complete the forms at the NCAA Eligibility Center early, we can’t emphasize this enough. Aid is distributed on a first come, first serve basis. So fill your FAFSA out as soon as possible. 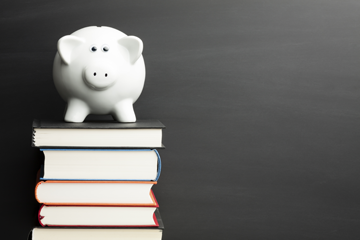 Don’t dismiss the FAFSA, and don’t think your financial aid package is set in stone. The FAFSA can be helpful for every family, even if you think your family’s income might be too high. You never know if you’ll qualify for aid. And you might find that the amount of aid the FAFSA qualifies you for makes the difference in affording the school where you want to play your sport the most. Provided by our partner NCSA.